Since I still haven't swatched last year's MAC/Jin Soon Fall/Winter Collection, I thought I'd try to be a little more timely this year! All of these polishes applied very nicely using 2 coats, and 3 of them--Jade Dragon, Earthly Harmony, and Imperial Flower had no streaking after the first coat. The second coat gave more depth to the color, but I was amazed at how streak-free and pigmented those 3 were with just one coat. Below: Earthly Harmony, a darker beige or medium taupe shade is laced with subtle coppery/gold shimmer or glitter. 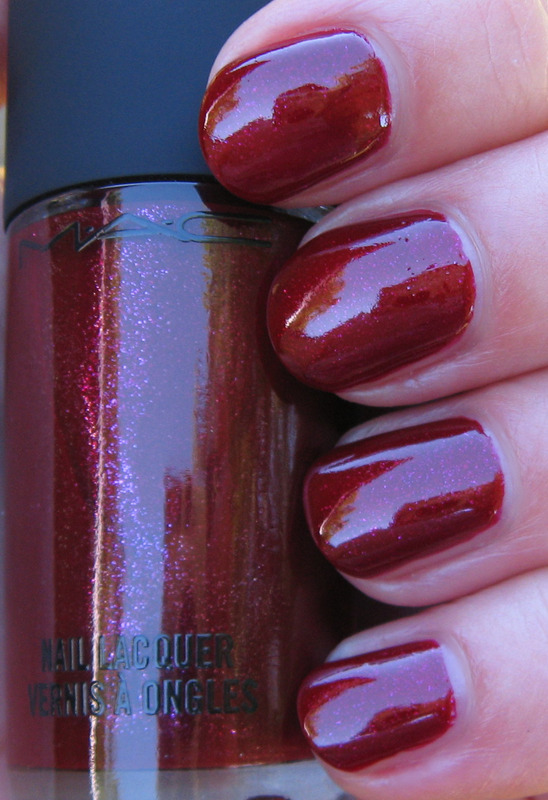 The glitter isn't terribly evident in all lighting, but it definitely adds a nice little extra to an already popular shade. Below: Concubine is shown with an Ott light (first photo) and outdoors in the shade (second photo). 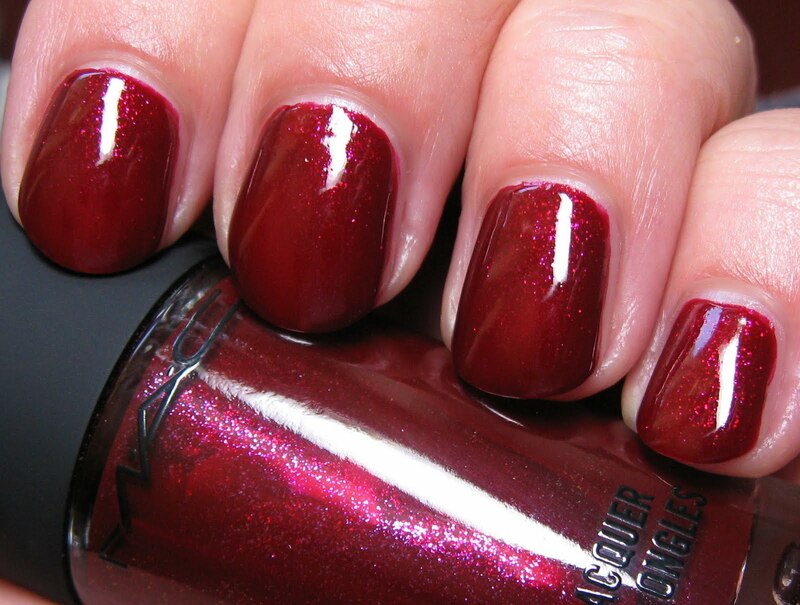 This deep ruby red shade glows and twinkles with lighter red glitter that seems to shift around on the nail. The glitter applies evenly, but the way it plays with the light makes it appear as a vampy darker red creme with any movement bringing the glitter to life. Below: Jade Dragon is a medium forest green with blue undertones. 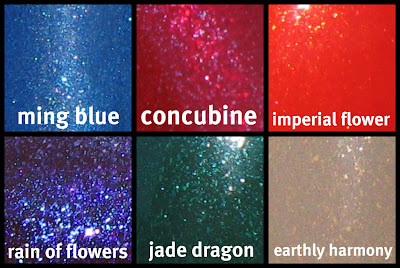 The lighter aqua/green shimmer or glitter is very fine and delicate, like all of the glitter in this collection. I use a base coat when swatching and this particular one gave me complete Smurf nails! After some extra time and cotton balls, I was able to remove it thoroughly. Below: Imperial Flower is a fairly bright orange with golden orange shimmer. 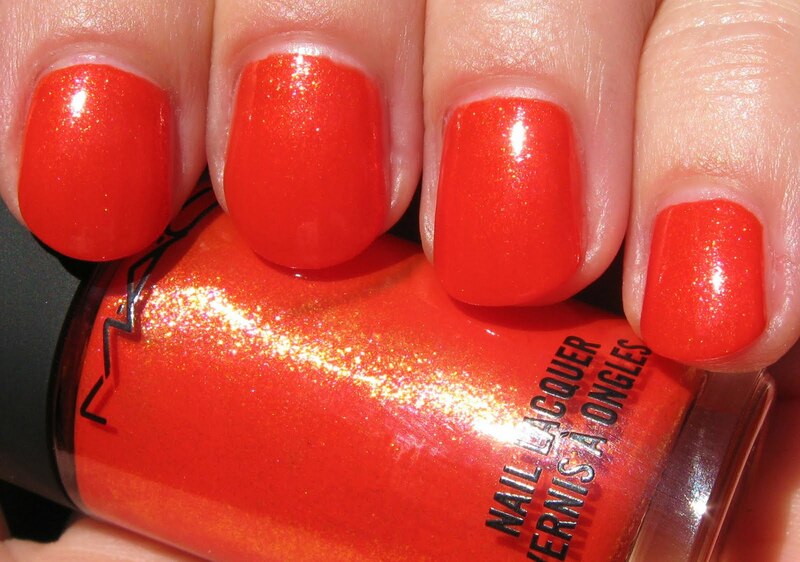 This is a beautiful tone of orange and is almost closer to a tangerine color. Below: Ming Blue is a little more subdued than a royal blue, but I would classify it in that color family. The pale aqua/blue glitter is obvious in any lighting. Below: Rain of Flowers is the color of grape juice, for lack of a better descriptive color term! 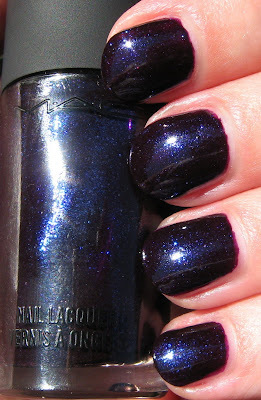 The bright blue, almost violet shimmer or glitter is difficult to discern in almost any lighting, so that was disappointing to me, given the way it appears in the bottle. Overall, I think this collection is a hit. It's got a varied range of colors, and while the finishes are basically the same with the foily glass-flecked glitter, I'm not disappointed in any of them with the exception of Rain of Flowers. Had that particular one not looked so stunning in the bottle, I wouldn't have expected more from it. The formula and pigmentation on all of these is well above average. These retail for $13.00 at maccosmetics.com and various department stores. This is a limited edition collection, but if you miss out on them and still want to pick up some of the shades, check out Cosmetic Company Outlets in a couple of months to see if they show up there at 40% off. Here's a link you can check to see if there's one near you. I LOVE most of these colors! Wow! Thanks for the link too....off to see if I have one by me. I really like ming blue! I might have to get it :). PS- Thanks for the link! I'm going to check out the one in Park City asap! These all are so lovely!! Jade Dragon is gorgeous, too bad it stains. I've never been a fan of MAC laquers though..I've always had bad luck with the formula and chipping. Gorgeous shades Mary. They lppk lovely on your hands. Pretty but honestly, I've seen it all before! These are all so pretty. 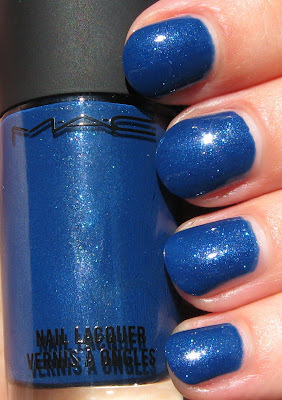 I haven't bought any MAC polishes in a few years. Might have to buy Jade Dragon. I haven't bought any MAC polishes yet. I may give them a go, they look so pretty mainly Ming Blue and Rain of Flowers. Earthly Harmony is my favorite, but I think I'd rather have China Glaze's Ingrid.